Philip Ivory Architects, founded in 1992, is a full-service architectural firm specializing in custom residential design and renovation. Raphael Architects is an award-winning firm. We organize our clients’ desires and construction requirements into pragmatically and poetically designed, sustainable houses. Studio One Architects is a full service, multi-disciplined architecture, interior design & construction management firm. We are committed to excellence in design & meeting our clients needs. 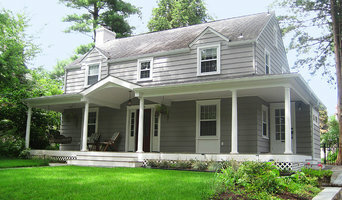 Chester County's PREMIER contractor / design-build firm. We create strong client relationships and deliver high attention to detail and added value. You couldn't get a better experience anywhere else! Founded in 1987, Macallister Group provides our clients with the very latest in architecture, engineering and interior design services. We are licensed in PA, NJ, DE, MD, NY, FL and IL. Asher-designed buildings are quietly beautiful. They are designed and constructed with a craftsmanship and richness in detail that enables them to age gracefully, gaining character as the years pass. JMS Architecture LLC is built on the philosophy that architecture is a collective art. Not one hand molds the clay; or applies the paint; or erects the shell. It’s about an exchange of ideas. Well-versed in a variety of styles, Period Architecture considers the character of a region to unite architectural tradition of the past with contemporary lifestyles and technology. We are a boutique architecture + interiors team. We offer tailor-made designs and a close working relationship with all our clients. When you work with us, you get us. No interns or assistants. For clients who recognize the value of professional design services, k YODER design offers quality, attentive service, and the creative ability to capture individual style in unexpected ways. We believe that all projects large and small benefit from the same process of understanding, investigation, and refinement, used to create unique designs that work beautifully. As an interdisciplinary firm with over 35 years of experience in the professions of Architecture, Landscape Architecture, & Planning, Cee Jay Frederick Associates provides a comprehensive approach. We are an architecture studio founded in 2004 delivering quality design to a range of project scales from applied research to residential and commercial projects. We specialize in exceptional architectural design solutions. Our experience, creativity, and ability to implement our clients’ objectives into designs are the reasons why our clients keep coming back! With Pella DesignWorks, you get the design expertise you'd expect from an architect and the project management know-how of a contractor in one package. How do I find the best East Norriton architect for my home design project? It is best to hire a home architect who will be involved in all phases of the design process, from the initial concept to the completed construction. The architect is often the first person you will hire for your project. If necessary, they might also help you select and hire Pennsylvania subcontractors, which can include the builders, engineers and landscaper. Interior architects are also involved in negotiating contracts for all involved participants. It is for these reasons that it is extremely important for you to have a good relationship with the East Norriton residential architect you hire. He or she can be the tie-breaking vote between you and the general contractor and can be your biggest advocate during the construction process. Different architecture firms in East Norriton, PA provide different services, so the scope of the work can span from pre-design environmental impact studies to selecting furniture and finishes, depending on what your specific needs are. It is very important to hire the right professional for the job. Remember that the most well-known or established designer might not provide the best architectural services for your needs. It all comes down to the individual project. Research and ask people whose work you like for recommendations. It's important to have somewhat of an idea of the style of house architecture that you prefer, as well as the amount you would like to spend. Residential architects in East Norriton, PA are natural problem solvers. They will assess the entire situation and help you to solve your problems too. Don't settle for a single company too early. Call and interview a few. Make sure that you feel like your personalities will mesh well and that you like their professional perspective. 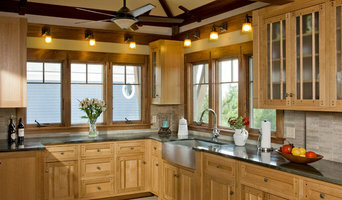 Find a home architect in East Norriton, PA on Houzz. 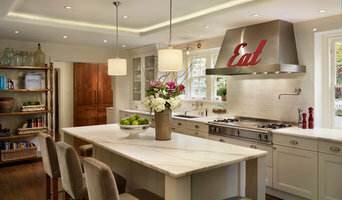 Narrow your search in the Professionals section of the website to East Norriton architects. You may also look through photos of Pennsylvania projects to find interior architects and building designers who have worked on a project similar to yours.